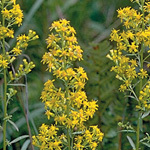 Large swaths of this plant can be seen in overgrazed pastures where its bitter taste is avoided by cattle. Butterflies and invaluable pollinators, on the other hand, swarm the dark pink flowers feeding on nectar. While other ironweeds, such as curlytop ironweed, grow in areas with plenty of moisture, western ironweed is less particular and will grow in dry, rocky, clay soils. In richer, more organic soil, it can grow fairly tall. 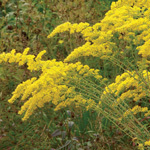 To keep the plant a bit shorter, you can cut it back to nearly ground level in late May. Seed: Will benefit from a couple of weeks of cold/moist stratification.